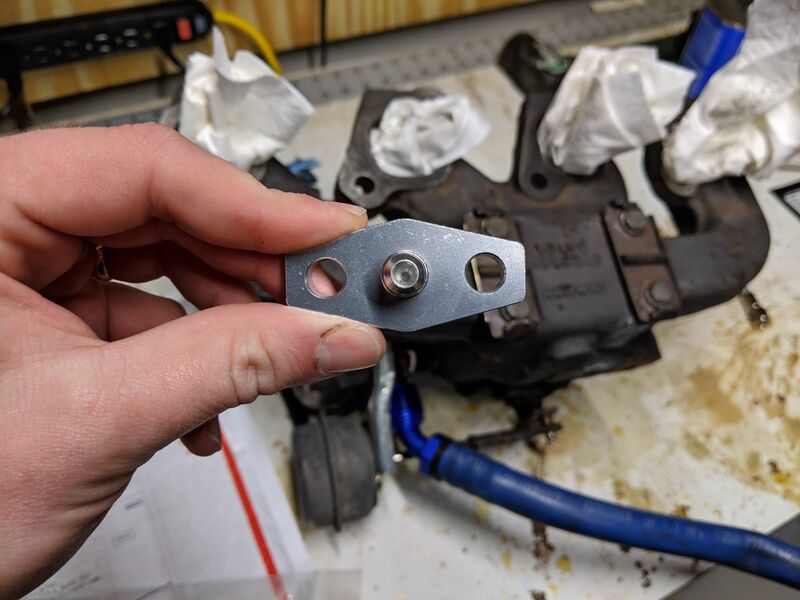 That oil feed adapter seems to have a built in restrictor, which from what I have read, is typically to limit oil flow to ball-bearing turbos. Since the journal bearing T3's want more oil than that, I feel like this would starve my turbo. Kinugawa customer service says this is the right adapter for a journal bearing T3, but I would like confirmation from people who actually know what they're talking about. My plan was to drill out the pinhole to the full diameter and run it, but I won't if it's not necessary. Does your engine make good oil pressure? It should be fine. I'm using a -4AN line to feed my T3 and I have not had any issues with oil flow to the turbo. 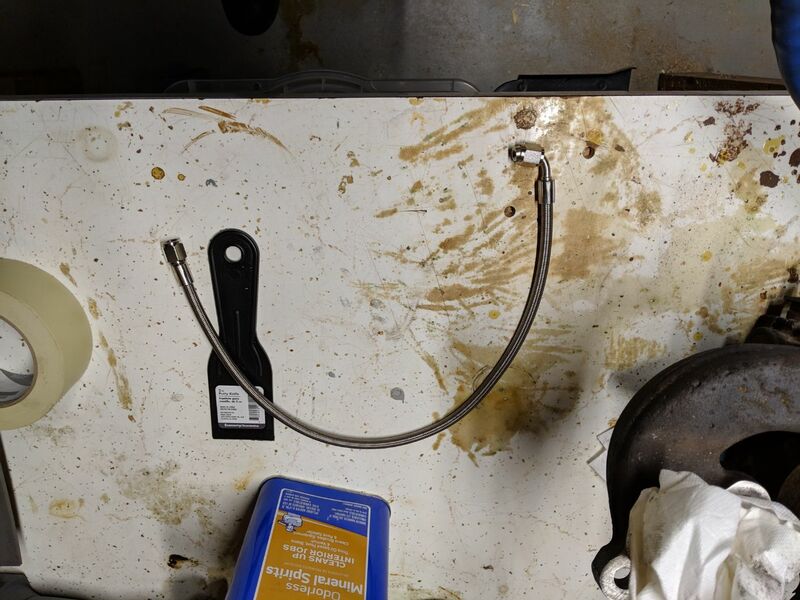 The stock Volvo hard line is big but I think they were accounting for a buildup of coked oil in there which is a contributing factor to turbo death. That is why they always want you to replace the oil feed when replacing the turbo. It's not good to hit the turbo with high oil pressure even when it's a journal bearing turbo. So they are making sure with that restriction. That's helpful, thank you. The line itself seems bit on the small side, but visual impressions don't mean much and it does have -4an fittings on it. I'm still a little wary of the pinhole in the adapter, but I'll try it. Hopefully I don't roast my 80k mile T3! I think I remember some posts on here saying not to use the restrictor. Try a google search for "kinugawa restrictor T3 site:turbobricks.com" or maybe 15G instead of T3? If you find something useful, please post the link(s). It's the only one I've read. The thread mentions not using the restrictor if a Mitsu turbo but using it with the T3. gsellstrm wrote that. Good description by Duder of turbo malfunction, too. I've always matched the ID of the factory top supply fitting to the TD04/ T3 used. Drill out to suit.... and be sure to chamfer to remove any burr. So after reading more about it, that's exactly what I'm going to do. It seems that the general consensus for oil-cooled journal bearing stuff is that if I have smoking from excessive oil with a stock-sized feed aperture, then my drain is the thing I should upsize, rather than reducing the amount of oil going in. That seems logical to me so that's what I'm going with. Thanks for the reply as well!